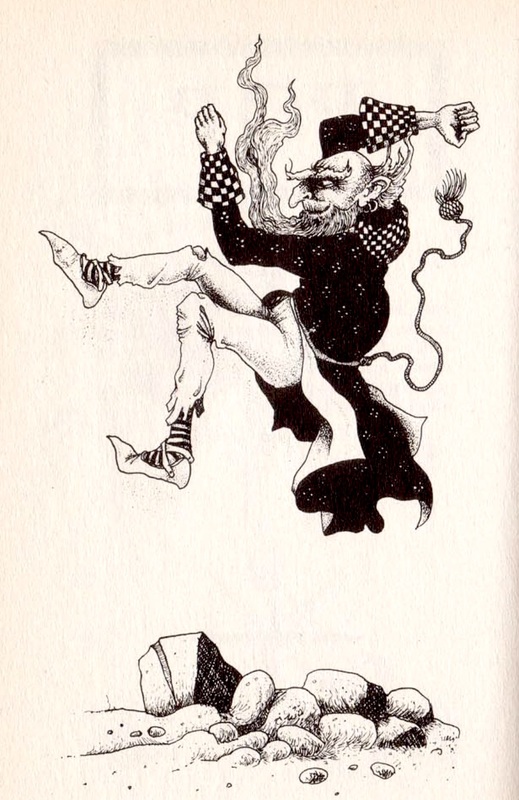 Once again we compare and contrast, a 1980s Gamebook illustration by John Blanche and a 1890s Fairy tale illustration by Henry Justice Ford. Face - eyebrows nose and ears, shoes, coat drapery follow the line around the coat tails, it is almost an exact copy, the pose, including arm positions. While retaining the same shape and structure, the ornament and pattern of the coat are quite different, Fords quiliting on the cuff and paisley giving the feel of an orientalist persian mystique replaced by Blanches bold, and rathe scruffy Mod two-tone cheques. The main difference in the removing of the second figure being ridden in the original , the removal of the club and the adding of a second leg which would be obscured by the figure in the first, and the flowing upward of the beard which gives the figure a greater impression of falling. 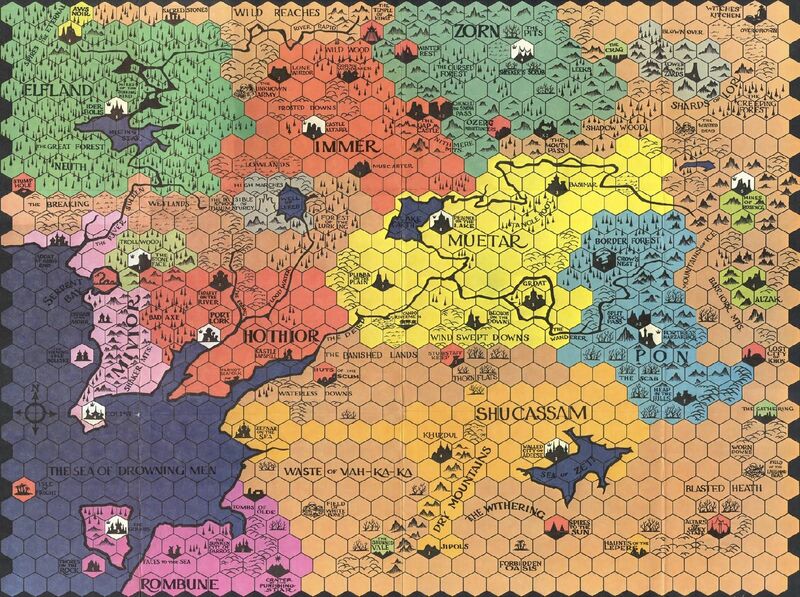 There are many diverse and interesting Hex and Counter Fantasy games available to perusers of arcane eBay searches and time travelling ludonauts, many lurking in the back of my mind as I work on Battle Masters Pocket Edition. As things have been a little commercial around these parts of late, with Oldhammer T-shirts on Amazon, Battle at the Farm logo for Fogou Models and Haalfling T-shirts for Games Sesh, it is probably about time for some "content". 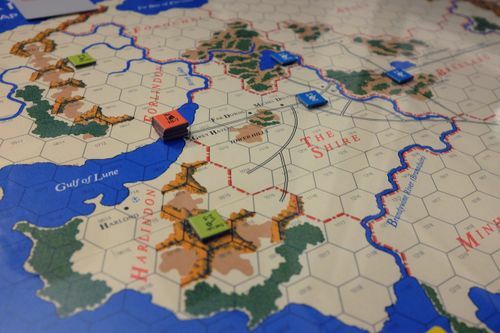 Here then are some Hex and Counter games that stand out for design interest or for relatively historically significant reasons. hmm. tasty hexagonal based intermission. 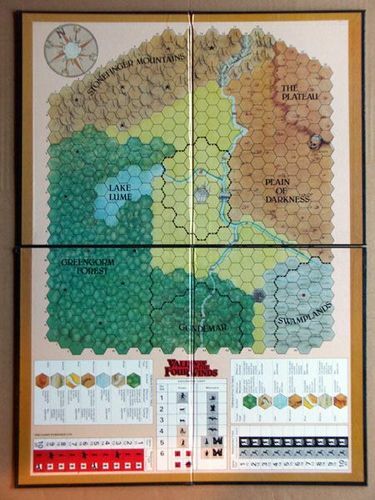 Avalon Hills Outdoor Survival from 1972, the worlds first tabletop walking simulator (oh how I miss the low-fi wonder that is proteus) No, it's not a fantasy hexmap, but it is cited by Gary Gygax in the original version of Dungeons & Dragons as a way of running wilderness adventures. The landscape features strongly conform to the hexagons, there's no ambiguity, mountains inhabit one hex, forests another. Forested mountains an impossibility, rivers seem to meander around floodplains with no discernible source. 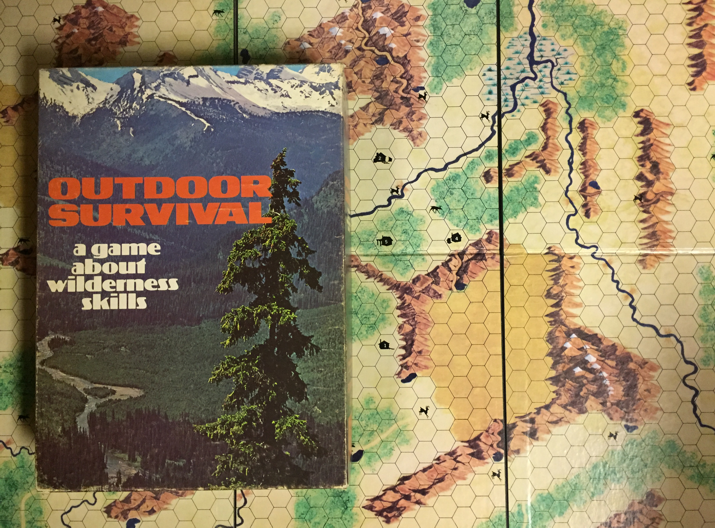 The beige, orange and browns lend the map all the earnest dependability of a 1970s geography textbook, imposing an idealised matter-of-fact practicality onto a game of high-stakes wilderness survivalism. 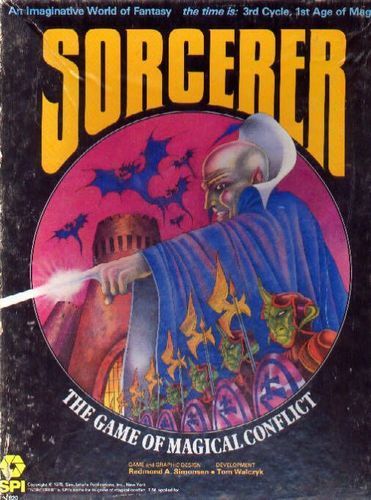 The honour for the first published Fantasy Hex and Chit game goes to SPIs Sorcerer. 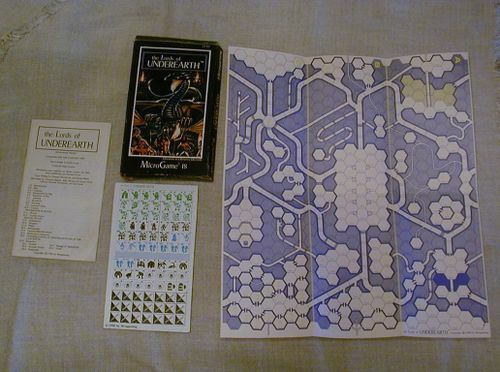 Despite the extremely funky box art the map is a rather dull and disappointing affair. 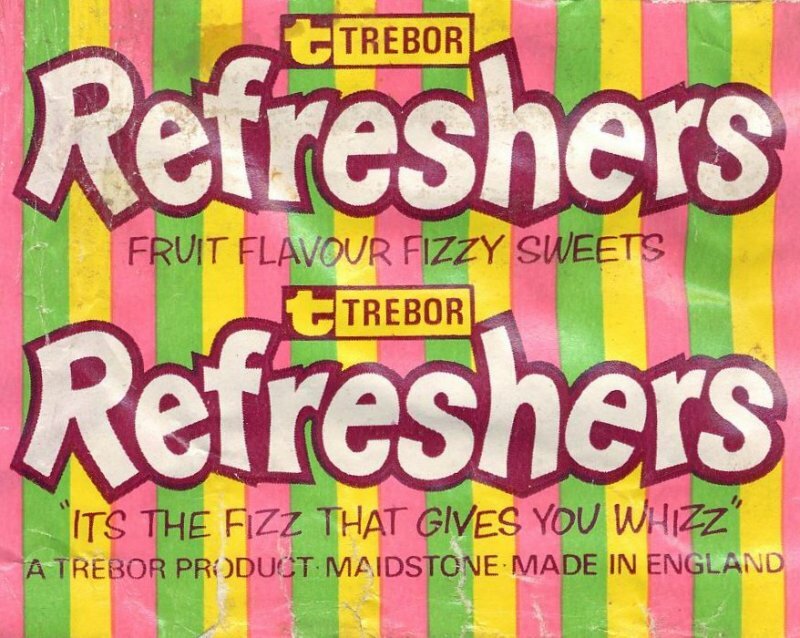 I say dull and dissapointing, but in reality it's more like someone spilled a packet of hexagonal Trebor Refreshers. The lemon ones are the best. 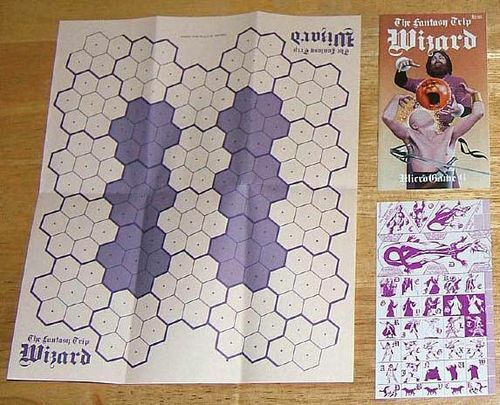 There are few Hex-Counter-Fantasy-Boardgames are more significant or have such a long lasting legacy as White Bear and Red Moon by Greg Stafford and published by Chaosium. 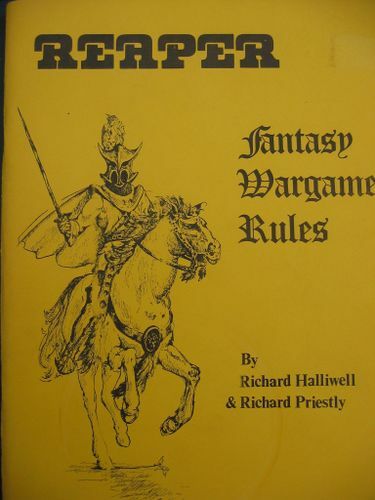 While the Runequest family of roleplaying games and the entire world of Glorantha are its obvious descendants, this Hex and Counter classic also had a massive influence on the development of early Warhammer. 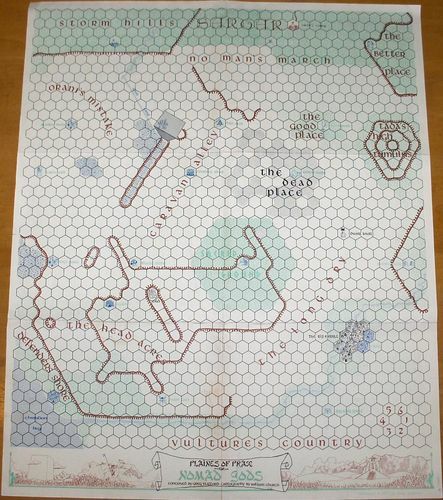 "I recently bought 'White Bear, Red Moon', it's the best fantasy board game I've yet encountered. 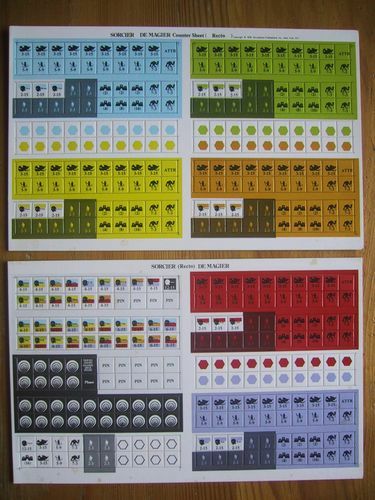 The creators have succeded in giving the cardboard counters real character; unlike the rather bland abstract format of SPI's 'sorcerer'. I'm considering situating by dungeons on the game map. It's a ready-made & very colourful political & geographical situation & also several interesting new monster types." 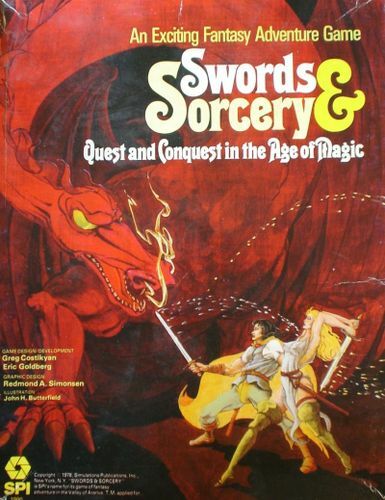 It should be noted that Bryans comment about roleplaying in Glorantha predates the publication of Runequest as an RPG, although, not Ithink, it's development. 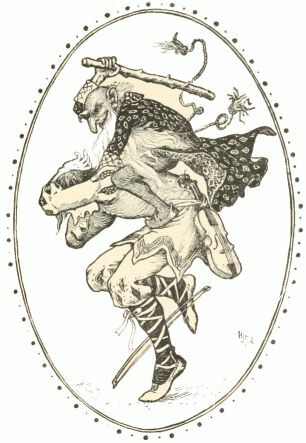 Much of White Bear, Red Moon - from Boar Riding Orcs, to the Chaos Broo or Chaos Beastmen, to the Empire and the Dwarves use of blackpowder weapons all appear in White Bear, Red Moon. The silhouettes are clean and clear, somewhat heavy and chunky, but clearly readable despite the four corners of statistics encroaching onto the picture area. While there's no attempt to express scale - a mighty Trachodon appears as large as a lowly Man-Beast, the visual differentiation between types make it extremely clear. 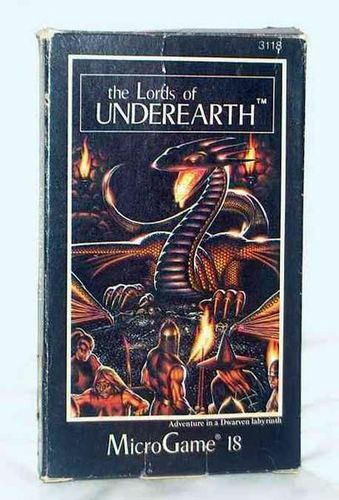 White Bear, Red Moon was republished as Dragon Pass but also had a sequel before that, Nomad Gods. Spot the buffalo. The light-blue sage green and brown, while mint-choc-chip ice cream, or is that verdigris and copper, or eau de nile and burnt umber, remains quite fresh and contemporary. 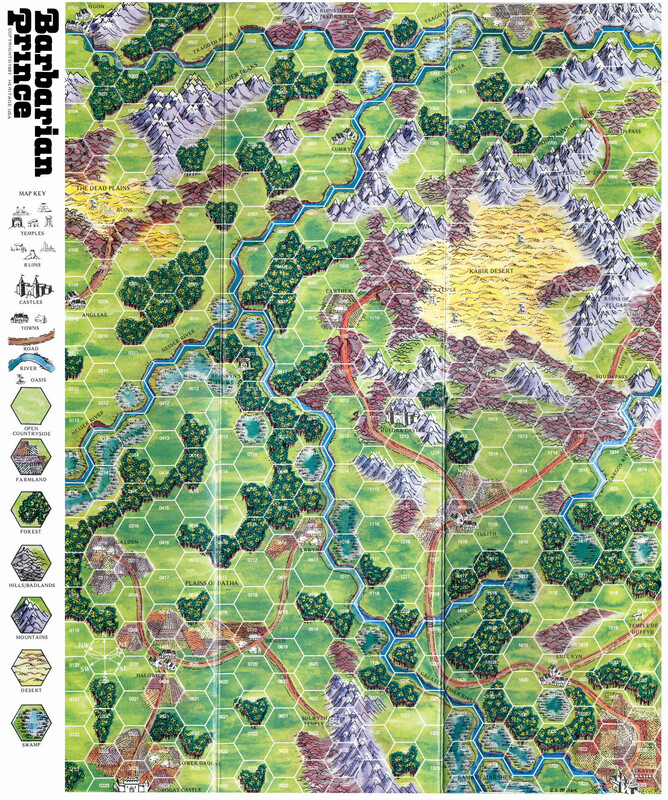 Barbarian is an 'entry level' hex-chit fantasy game by Ian Livingstone published in White Dwarf #15 (Oct/Nov 1979) and reprinted in Best of White Dwarf #1. 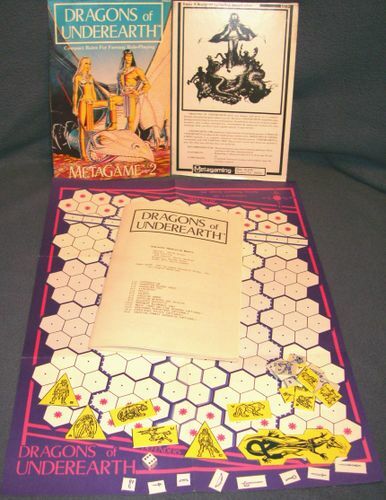 It's a two player game, where the single adventurer has to recover a magic shield and sword from the monster-filled wastelands, while player two has to stop them with gangs of various monsters. The counters are servicable but the maps reliance on texture to communicate landscape lacks clarity or character. 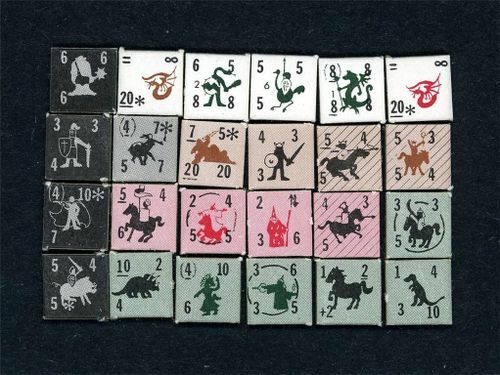 The tokens by Liz Danforth for The Fantasy Trip: Melee are easily the neatest and most elegant designs of any of the counters I've come across. 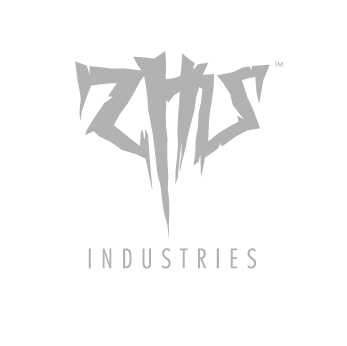 The 3 tone images are really clean and the silhouettes easy to parse and full of character. I'm looking at the above image on screen and they must be about 4mm across and the tokens are clearly identifiable and distinct from each other. It's also great that everyone is wearing flares. That kind of commitment to contemporary fashion in the fantasy milieu is to be lauded. 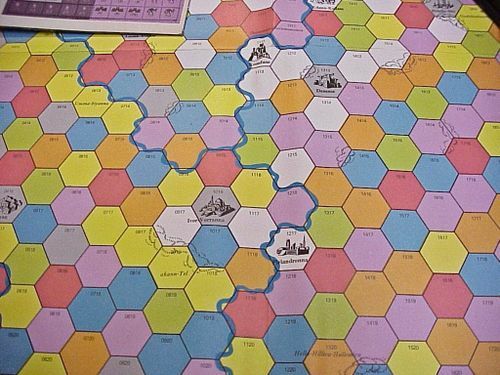 Similarly the brown and orange and purple and tan colourways of the map just ooze 70s retro charm. 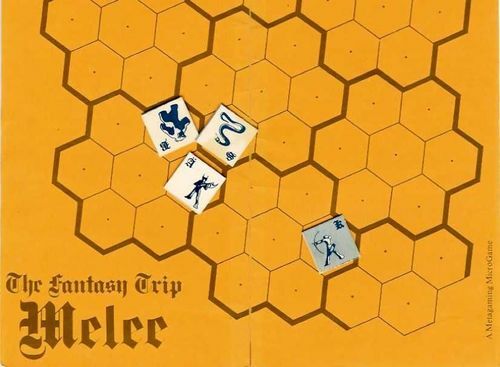 Steve Jackson has recently re-aquired the rights to The Fantasy Trip. 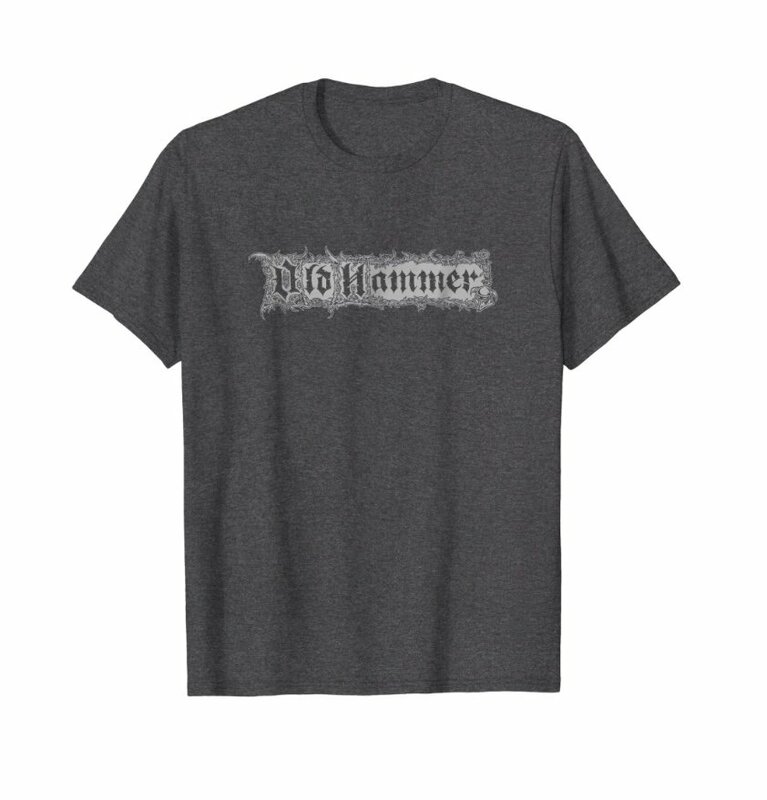 Expect a relaunch through kickstarter sometime soon. 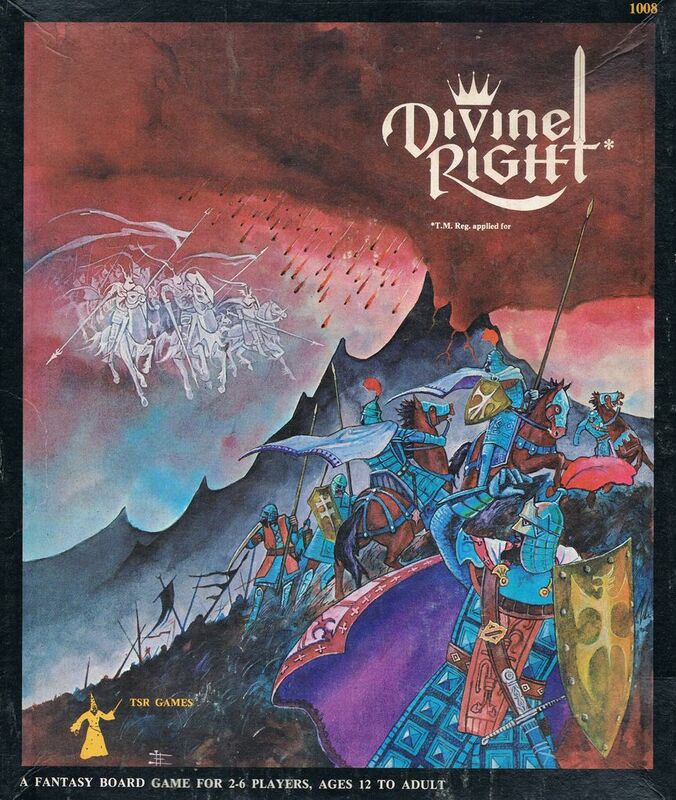 The Divine Right map by the legendary Dave Trampier is probably the pinnacle of fantasy hex-maps, full of quirky charm, mystery and a grimy swords and sorcery vibe. Divine Right map. Love this. The combination of cities and temples as silhouettes and the sparce graphic marks indicating hills and trees to represent forests and mountain ranges, in the Tolkien tradition, but looser and more gestural. 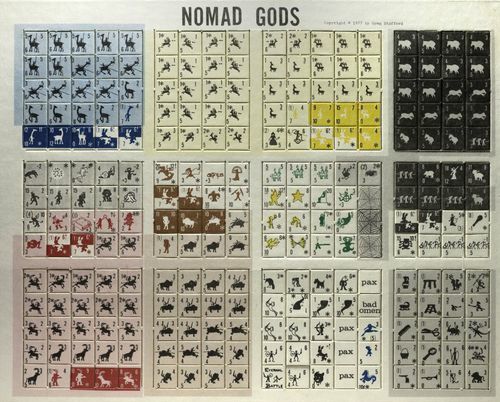 The bold colouration defining the domains as a political map, and is the only example of this kind of symbolic use of colour here, giving it the feel of a psyhedelic black-light poster seen through a heady fog of eldritch vapours. 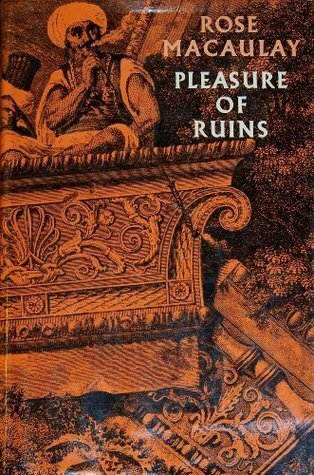 The hand lettering, confined to hexes for locations and stretching across areas for regions is at once classical, referring back to roman models and immediate with it's own haphazard, caligraphic personality. 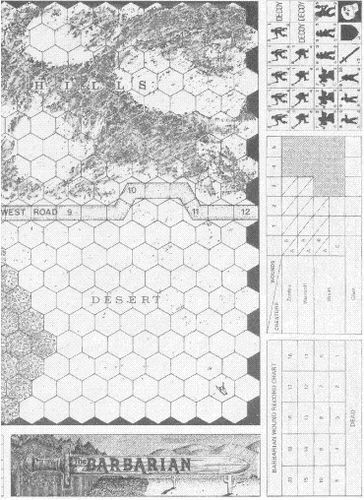 Long before Warhammer blighted the universe Games Workshops original fantasy wargame was Valley of the Four Winds (1980) by Lewis Pulsipher. 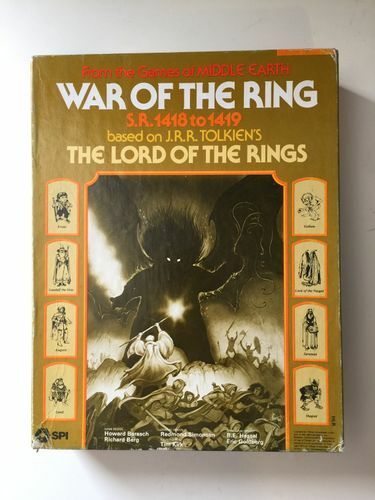 Miniatures were available, made by Minifigs, but there's no real way of using miniatures in the game. 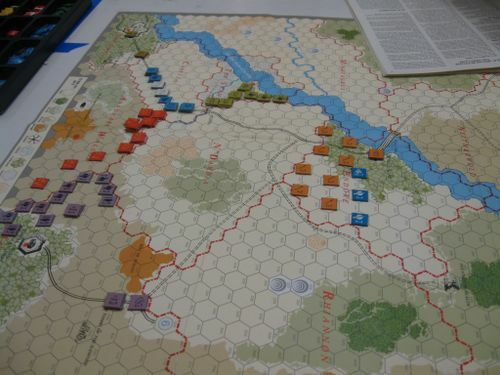 While the background story, the miniatures design and the game itself are all quite spectacular in their own way, the material components of the game fall a little flat with its near solid blocks of conventionally naturalistic colours. 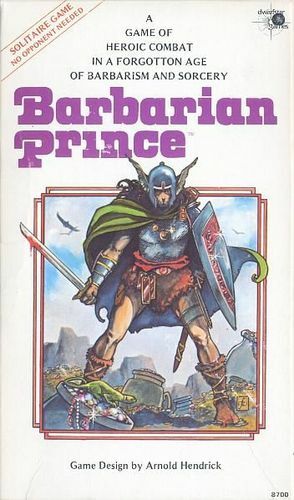 Barbarian Prince is available as a free downloadable print and play from Dwarfstar Games It combines elements of solo gamebooks as well as map exploration - the Tolkien Quest books not dissimiar. It's a format I've been tinkering with a simpler Rogue Trooper based game for a while, but Barbarian Prince is really fun and well worth looking at in its own right. 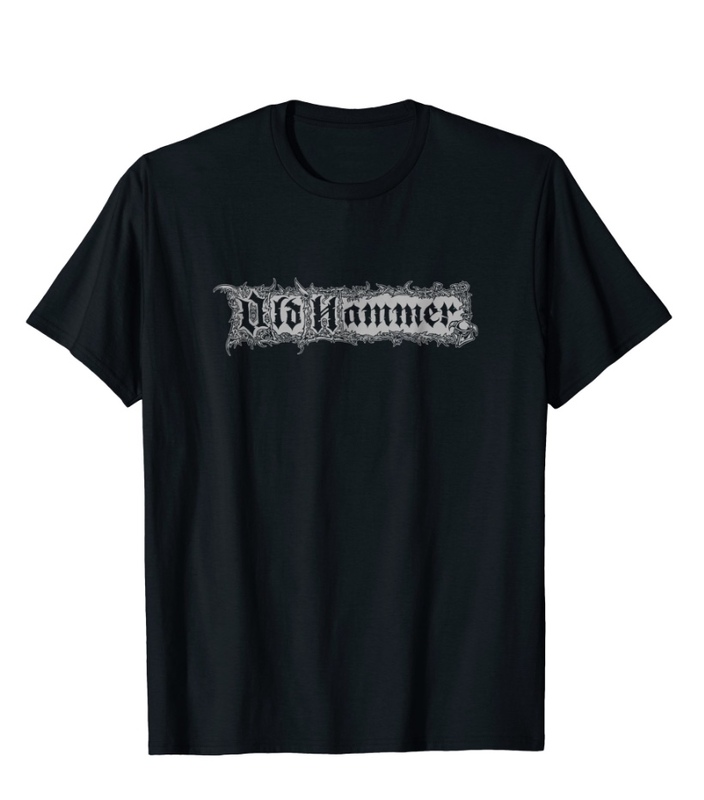 Also uses Bob Newmans 'Odin' the same typeface as one of the several Asgard Miniatures logos they went through and Richard Halliwells Reaper wagame rules for added 70s ultra-heavy muscle-car type cool. The map itself has something of J.R.R. 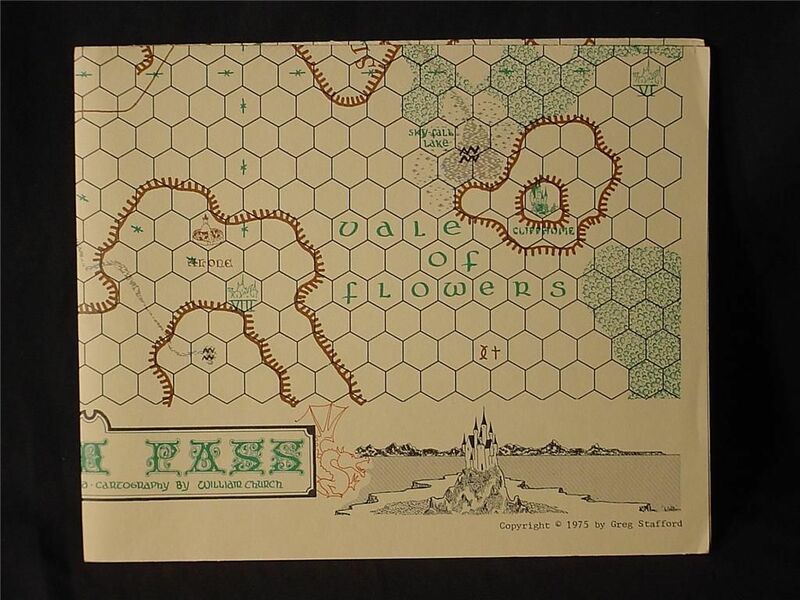 Tolkien's illustrative map style popular with fantasy cartographers, little mountain peaks and stylised forests. Like Outdoor Survival before it, the landscape clings to the hexagonal structure. 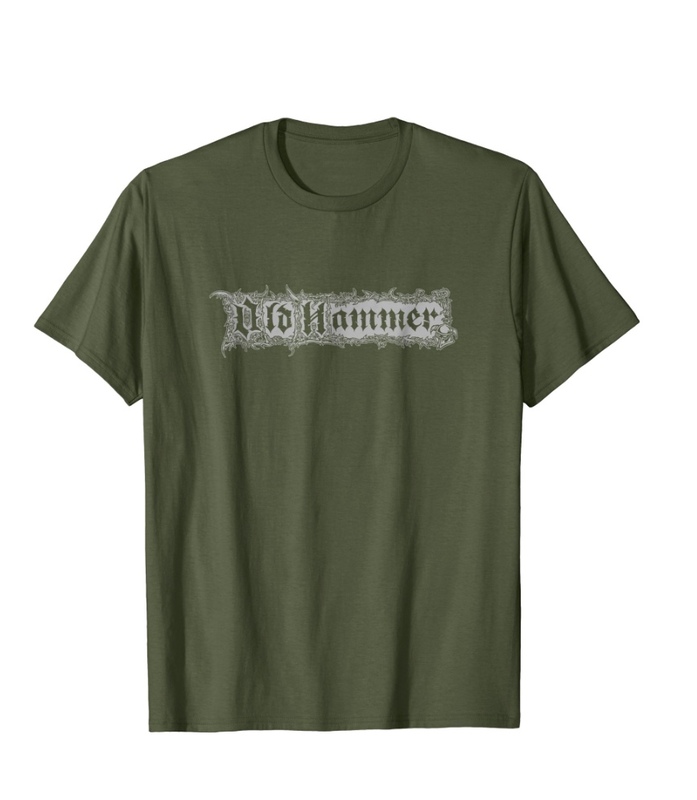 Classic Oldhammer ov Khaos T-shirt design is now available through Amazon in the US in 3 grim dark colorways. This is something of a departure for me as I've used Spreadshirt as my print-on-demand t-shirt supplier for years, but Amazon do have different processes and range of garments. 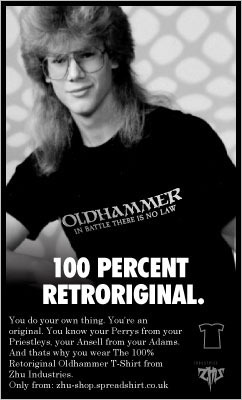 And besides, I like the idea of a gang of Amazon tribeswomen carrying bagloads of Oldhammer merch.